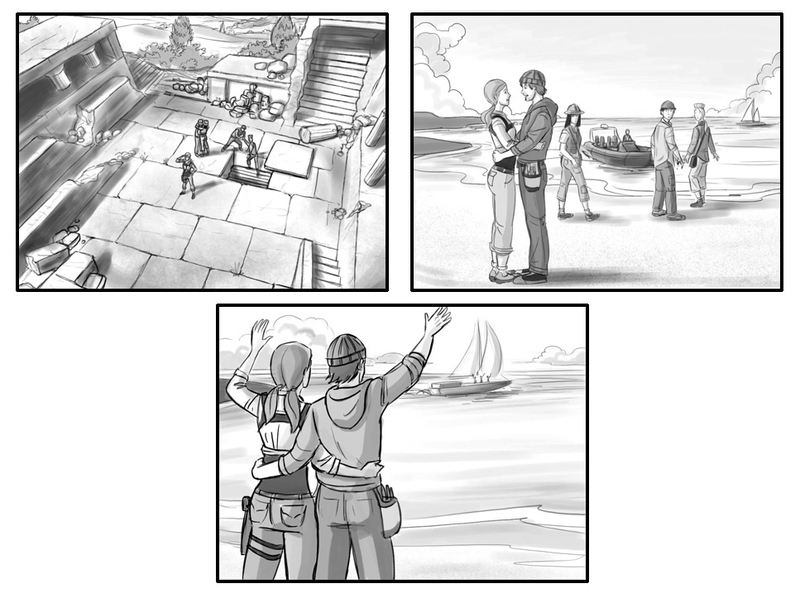 It’s time I post some new art. 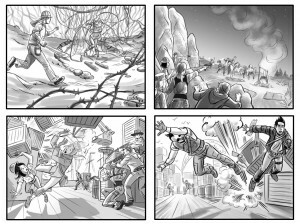 Well, not new in the sense of the latest, but new in the sense that it’s art I’ve done that most folks haven’t seen. 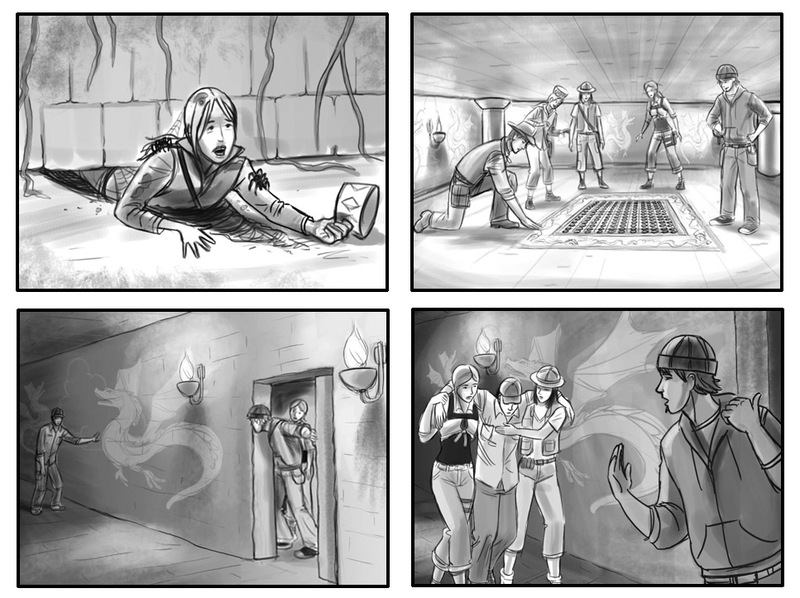 Over a few years I’ve had the pleasure of doing some work for the Jewel Quest, PC Game series. 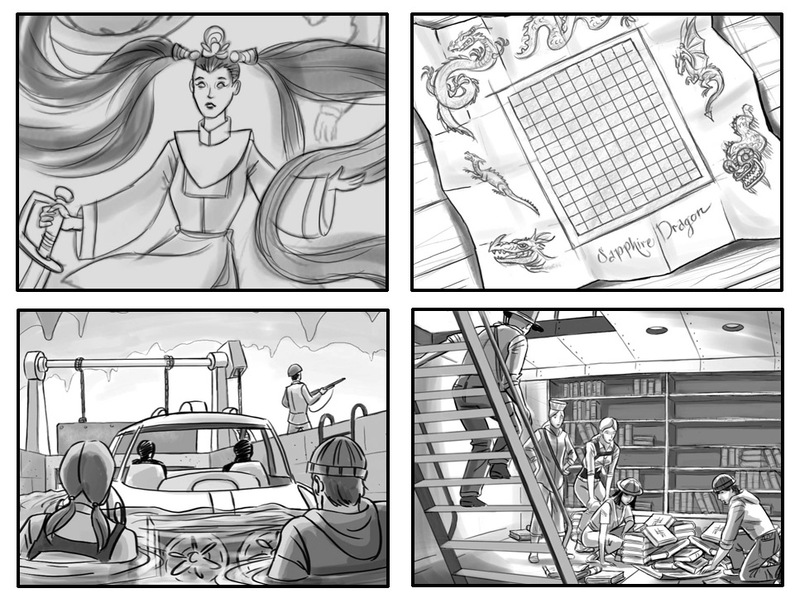 Here are story sketches for Jewel Quest 6: Sapphire Dragon. 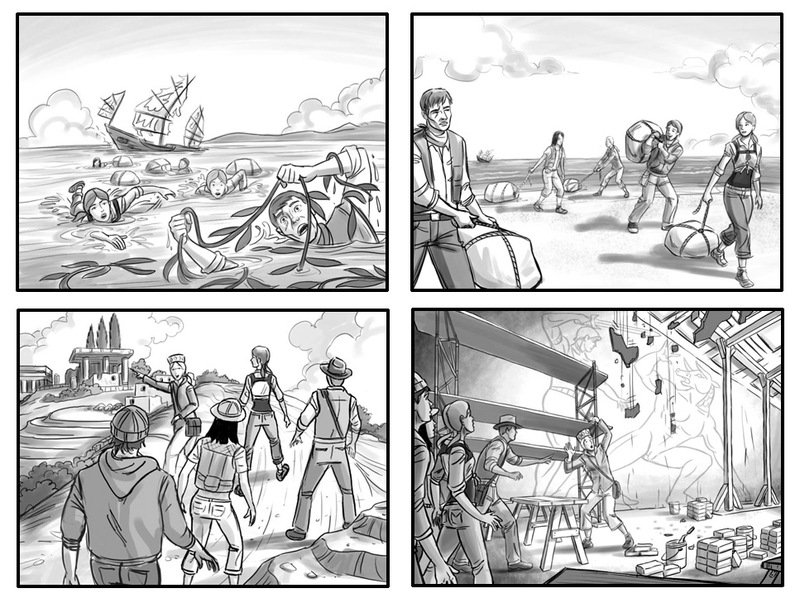 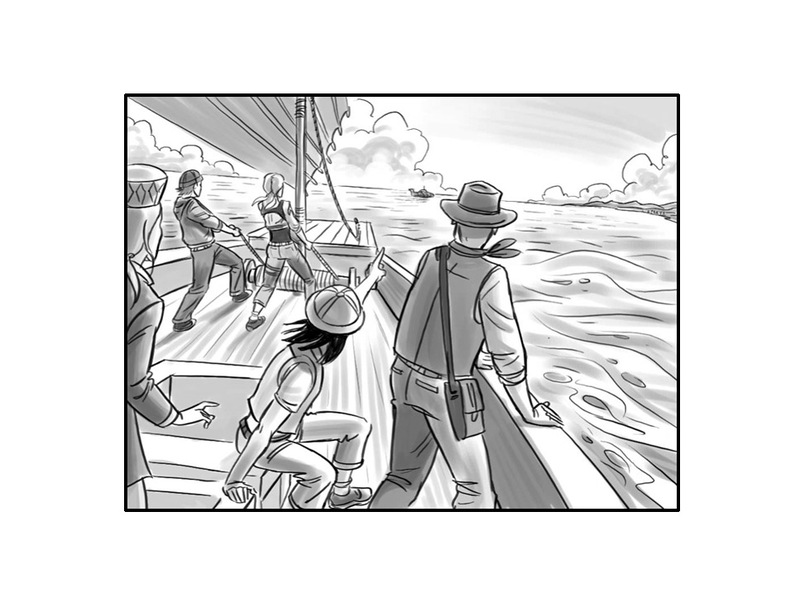 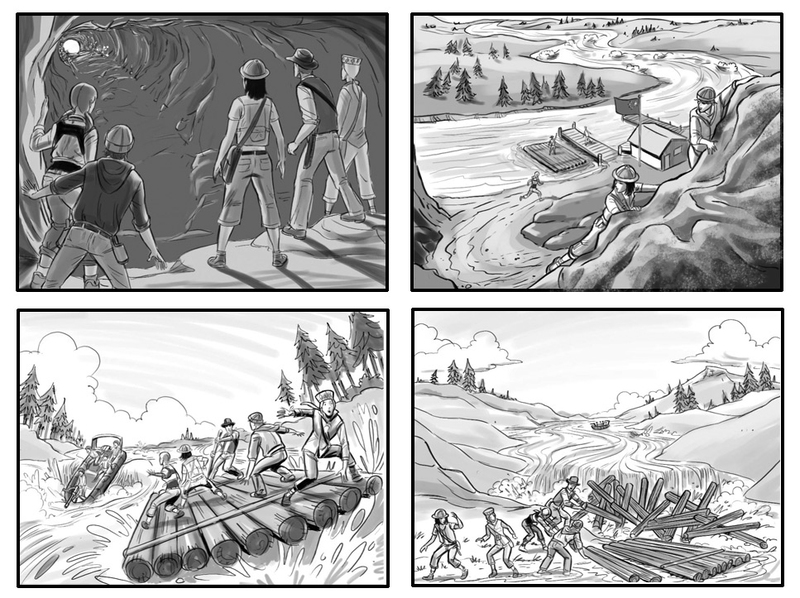 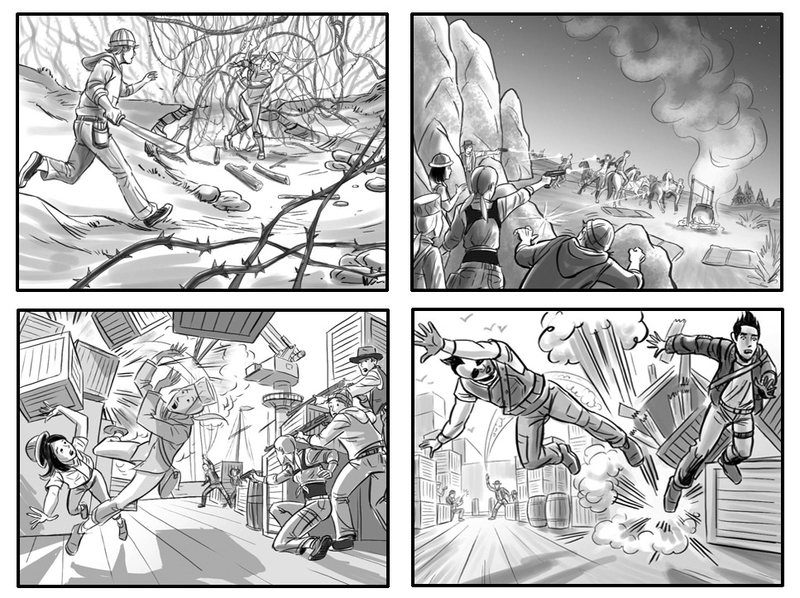 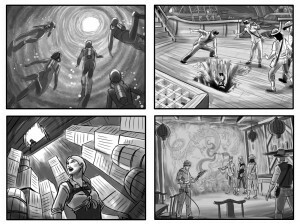 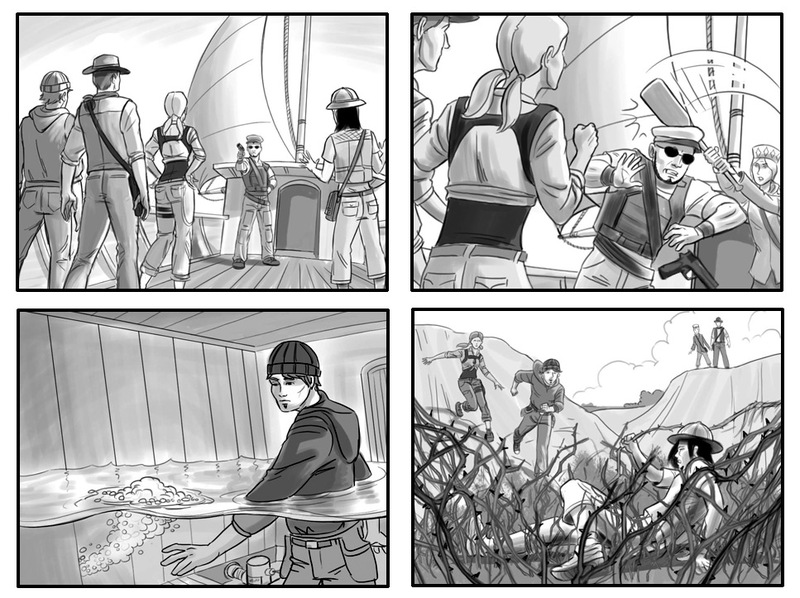 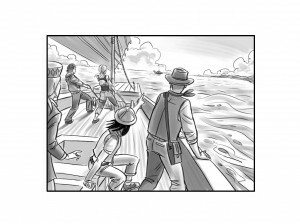 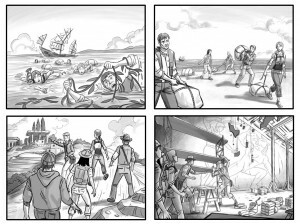 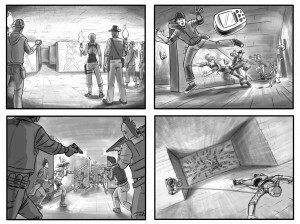 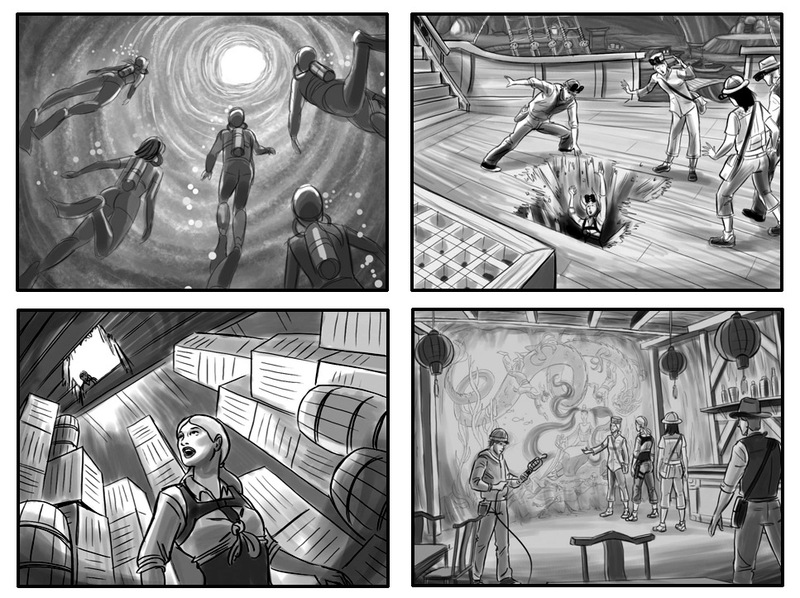 From these, another group of artists hired by Iwin, Inc. finished them up in color for the adventure puzzle game. 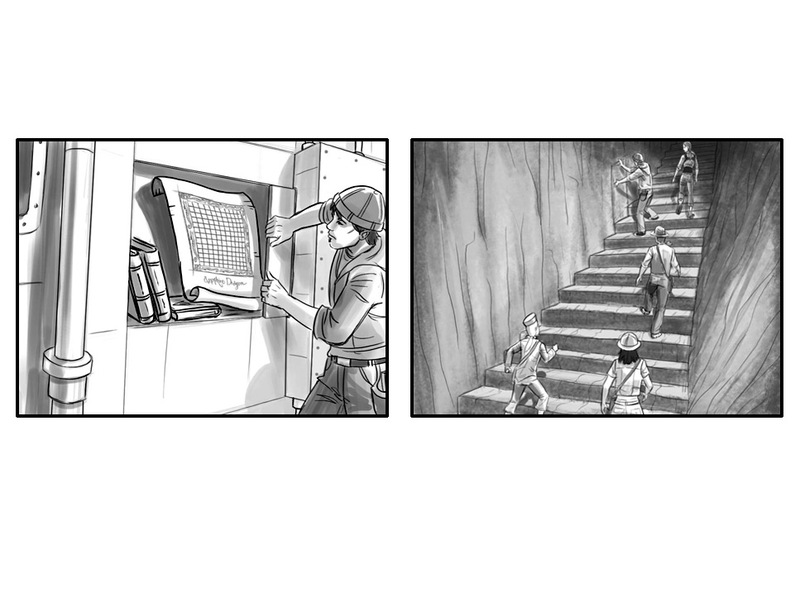 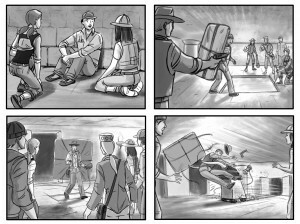 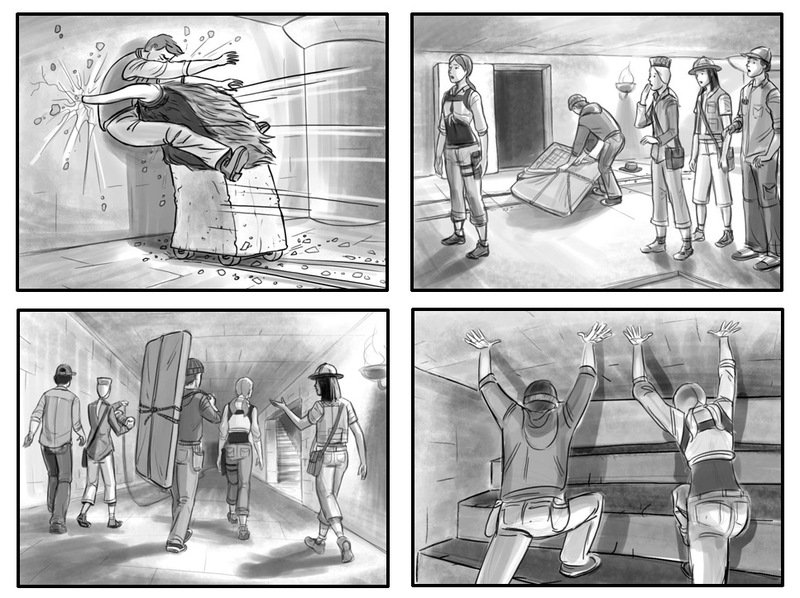 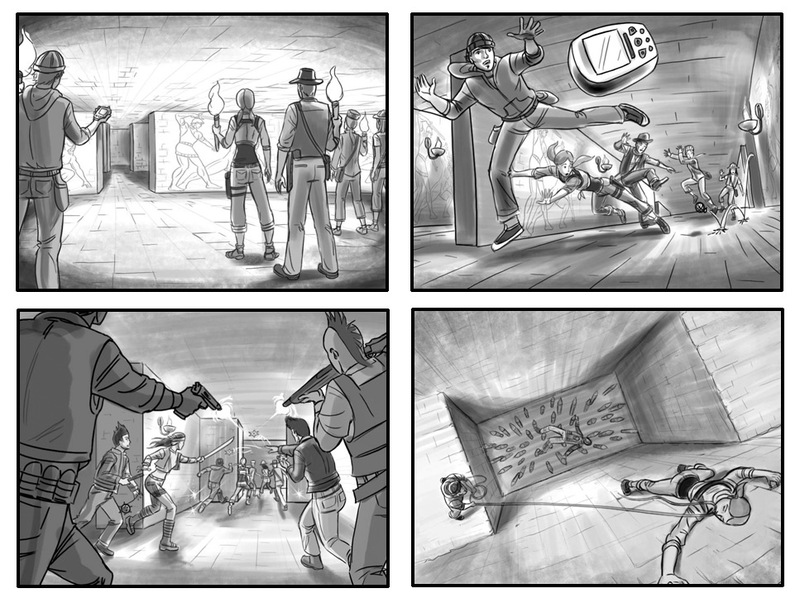 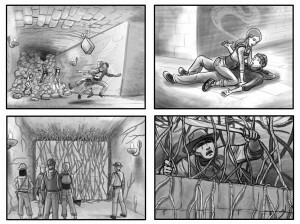 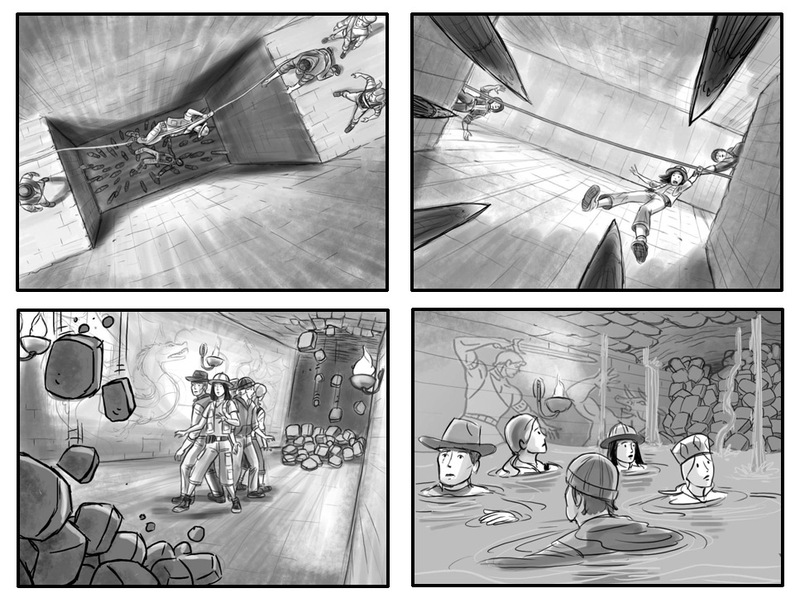 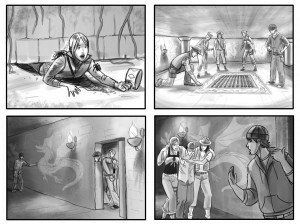 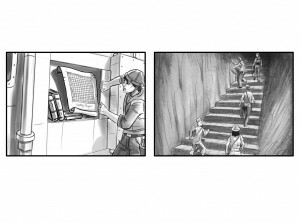 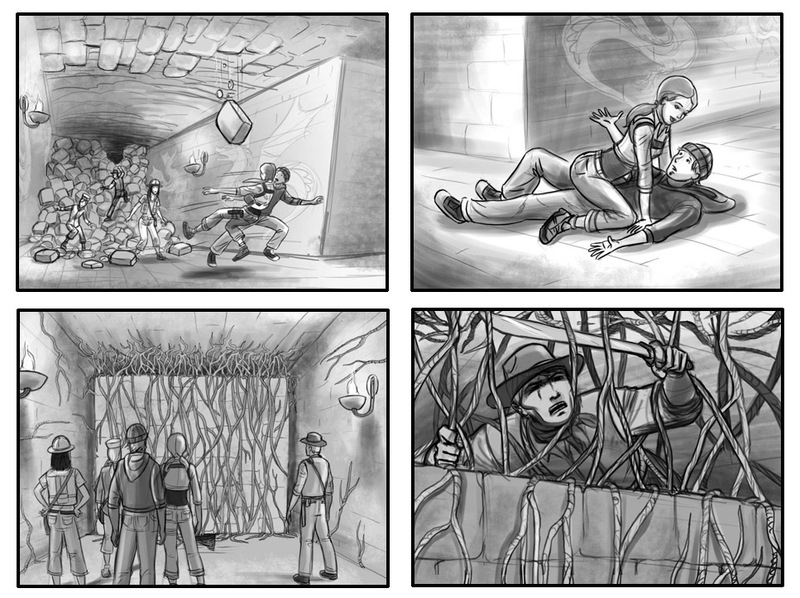 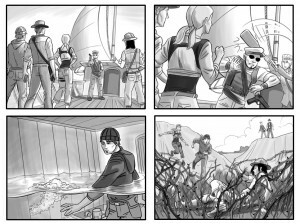 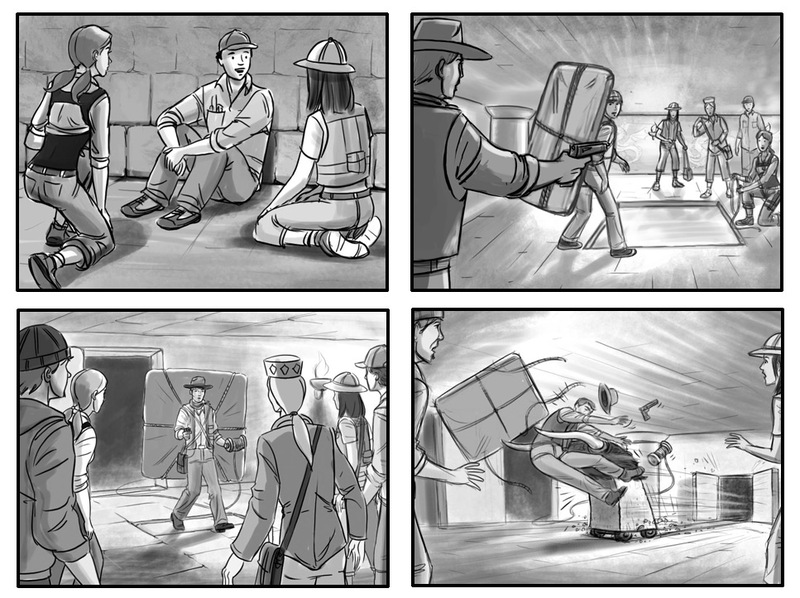 Now, these aren’t storyboards, but rather story illustrations that are used in the game to move the adventure along after each puzzle is solved. 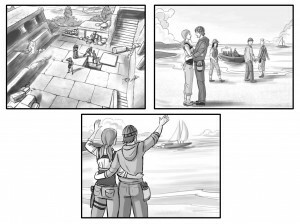 So they are in sequence as part of broad story “moments”.